You have a glowing pride because your dog has really made a difference to people’s lives. What is Pets as Therapy? 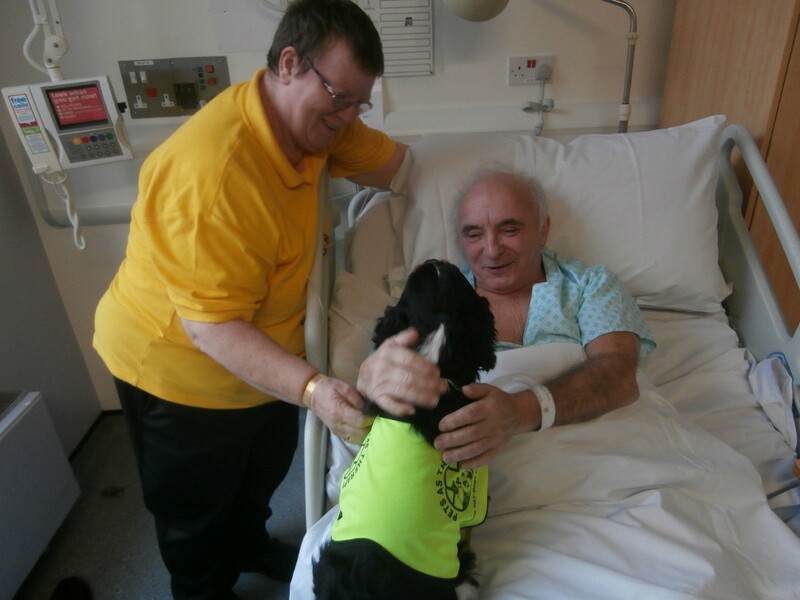 Providing therapeutic visits to vulnerable people in hospitals, hospices, special needs schools and care homes, Pets as Therapy works with dogs and cats to tackle loneliness in people wanting to spend time with a furry friend. Using pets as therapy is so simple, yet so effective; especially for those who’ve been separated from their pets due to physical or mental illness, it gives them hope and happiness, which in turn supports their wellbeing. The pet’s owner also dedicates their time, taking their pet on visits as a wonderful volunteering duo. Before the animals are let loose to supply people with bundles of unconditional love, they are assessed to ensure they’re up to the job. The charity also offers a beautifully unique service to children in schools who lack confidence with their reading; the children can read a storybook to a Pets as Therapy dog without feeling judged by their performance, and it has proved to be an incredibly successful scheme with around 6000 children reading to dogs every week across the UK. Our volunteers do a marvellous job. 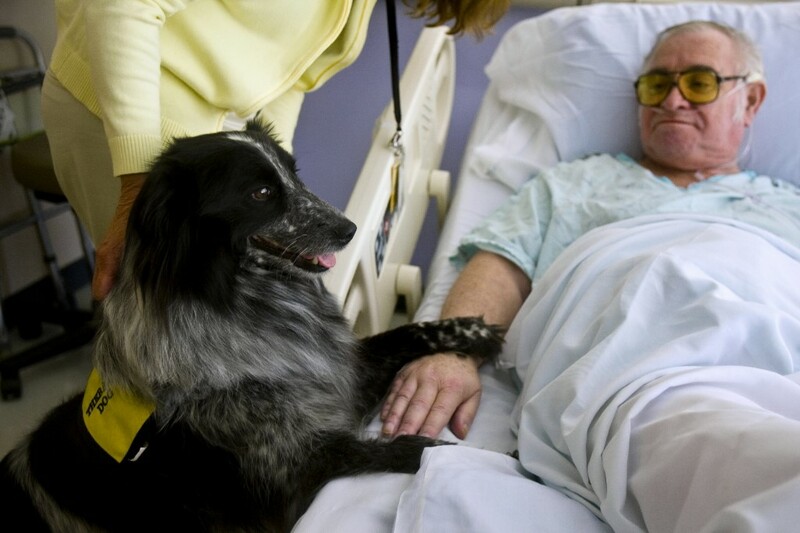 Pets at Therapy have been helping people since 1983, offering immeasurable companionship through the company of animals. It all started when the founder took her German Shepherd along to a nursing home when visiting her parents. Delighted by people’s responses to the dog, she recognised a very easy way to bring happiness into the lives of others, and so Pets as Therapy was born. With Pets as Therapy helping so many people across the country, there is now a greater surge of people asking for help. Luckily, the charity receives hundreds of volunteer applications, which the dedicated team of 7 Head Office staff process as quickly as possible to ensure people receive the help they need, when they need it. There are currently 5000 dogs and over 200 cats in the team, and with more and more pets joining, there are so many paws to keep count of! The more volunteer duos the charity acquires, the more Head Office volunteers are needed to process the applications and more Voluntary Co-ordinators are needed to manage the teams and plan events. With the charity relying heavily on donations to keep the scheme up and running, fundraising plays an integral role in making this happen, and this year they’re looking to raise £5000 through Easyfundraising to allow the charity to grow even more. We have big plans for the future to bring more people and pets together to combat loneliness. You can make a difference to the lives of vulnerable people who’d benefit emotionally from the companionship of a pet by choosing to support the charity using easyfundraising, raising donations when you shop online.